The three acts of Respighi’s 1922 opera fly by in a brisk eighty minutes of wondrous entertainment. Originally written for Vittorio Podrecca’s I Piccoli, The Sleeping Beauty is performed here with an absolutely charming set of puppets designed and constructed by Joe Blanck. 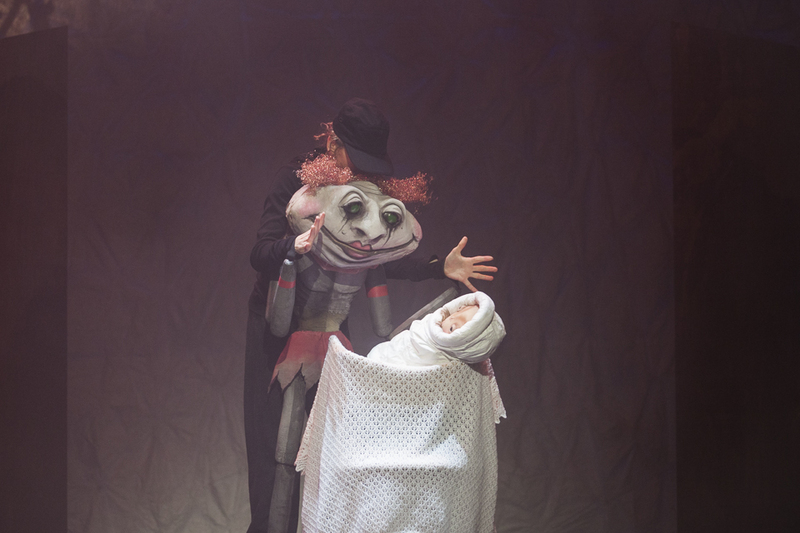 From the dancing frogs to the frolicsome cat to the menacing spider, the appearance of each new puppet character brings an appreciative laugh of delight from the audience. 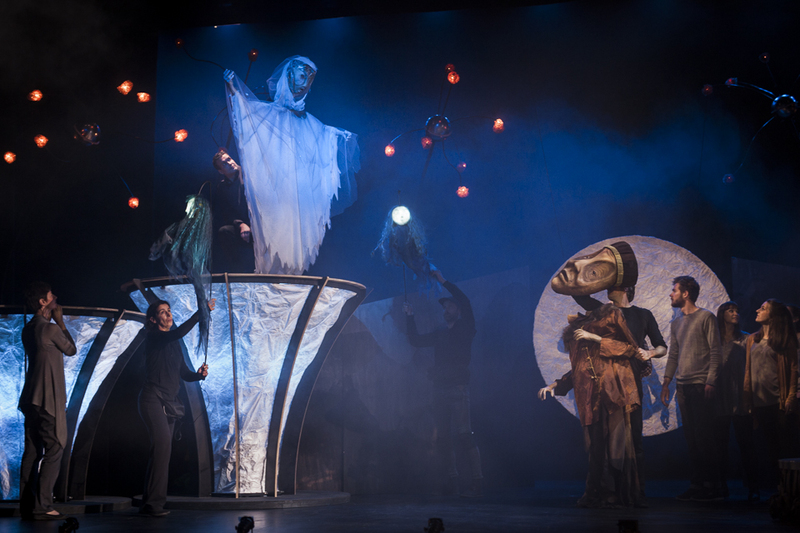 The high level of creative collaboration between all members of the production team is abundantly clear, with the singers and puppeteers evidently involved in the organic process of creating the staging as well. Along with fellow set designers from the company bluebottle, Blanck also contributed to the set design, which features canvases for shadow puppetry. Lighting designer Philip Lethlean also worked closely with the set designers, as lighting is embedded throughout the set, from warmly glowing platforms to a multitude of twinkling globes overhead. 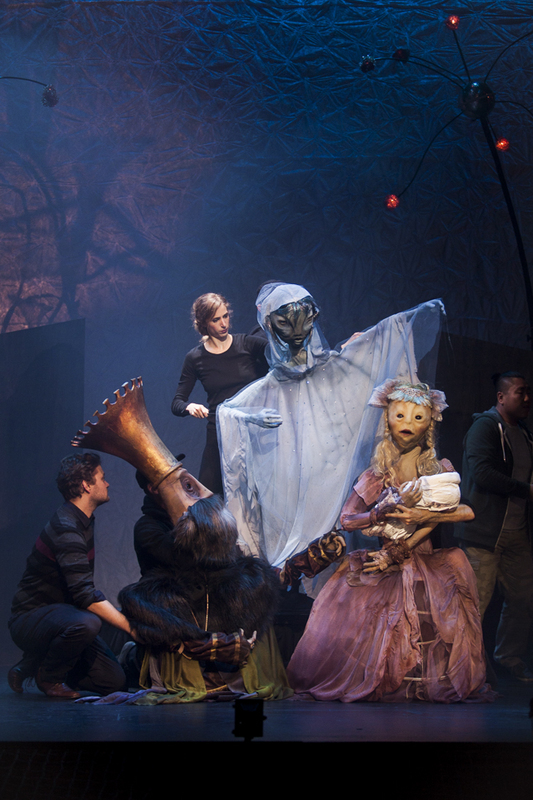 The immersive design has the singers out of the pit and onto the stage, singing their roles alongside the puppeteers and even assisting with the puppetry at times. With the stage filled with singers, puppets and scenic and lighting elements, there is a world of details to absorb and enjoy at any one time. The overall effect is like watching a Tim Burton movie live on stage. In a masterful touch from director Nancy Black, the framing aspect of the work is set in current time. The singers appear in neutral modern day clothing as they tell/listen to the story of the vulnerable Princess. This links the performance directly to the audience’s own experience of watching the opera, and allows full focus on the enchanting designs. The modern day aspect pays off brilliantly with the late appearance of Mister Dollar, an arrogant American man with a fuzzy blonde comb-over who woos the Duchess with his wealth and offers to buy Sleeping Beauty. Musical preparation by conductor Phoebe Briggs and staff is first rate, with the rarely heard opera sounding entirely comfortable and familiar in the hands of these talented musicians and singers. Conducting a sizeable contingent of Orchestra Victoria, Briggs deftly keeps a light touch with the music, bringing out an impressive range of characteristic sounds and musical tributes, which Respighi has worked into his score and arrangements. Moments of playful choreography, from Michelle Heaven, add further enjoyment to the performance. Above all the wonderful design elements, Victorian Opera has assembled an excellent set of singers for the ensemble cast. 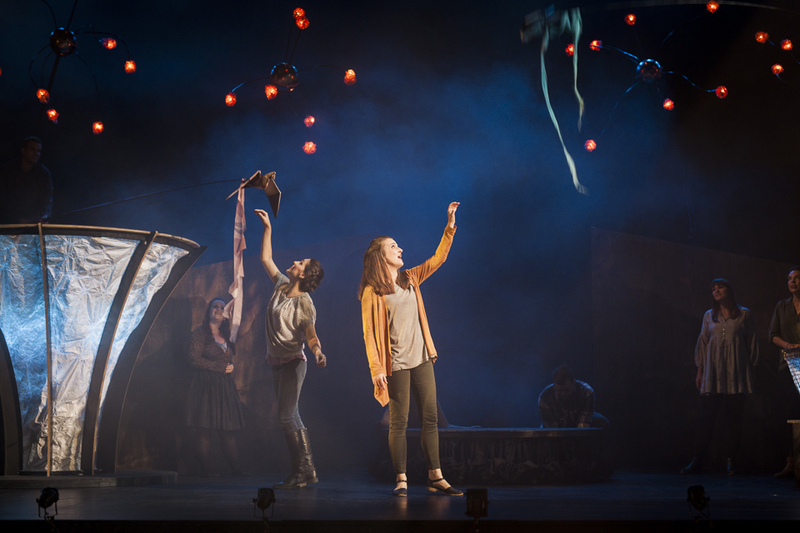 Any opera patrons who are concerned that the focus is merely on puppetry should rest assured that this is a beautifully sung opera featuring lovely, instantly accessible music. Each of the singers has their chance to play a character or two, but the additional benefit for the audience is when the performers, accomplished soloists one and all, sing together as a chorus. There is a female chorus after the Princess has fallen into slumber that is the closest approximation to angels heard in a very long time. It is difficult to mention cast highlights when the cast is so uniformly strong. Of the six puppeteers, Vincent Crowley and Nadine Dimitrievitch stand out playing human puppets of the Prince and Princess. Casting off their masks, the pair falls in love, dances and gallops off into the sunset. Zoe Drummond and Shakira Tsindos get the performance off to a terrific start with their gorgeous vocals as the Nightingale and the Cuckoo. Elizabeth Barrow impresses mightily with her effortless coloratura and high range as the kindly Blue Fairy. Raphael Wong is in reliably strong form as the beleaguered King. As well singing the regal Queen, Sally Wilson has a delightful cameo as she voices the Cat. Liane Keegan contributes a contrasting pair of roles, singing the weary Old Lady and the vivacious Duchess. Director Black sets the singers the somewhat challenging task of performing with the essence of the puppet’s actions while keeping the main focus on the puppets themselves. Keegan is particularly successful in this regard. Jacqueline Porter and Carlos E. Bárcenas deliver the pristine vocals of the Princess and Prince. Baritone Stephen Marsh makes a significant impression as the noble Woodcutter. 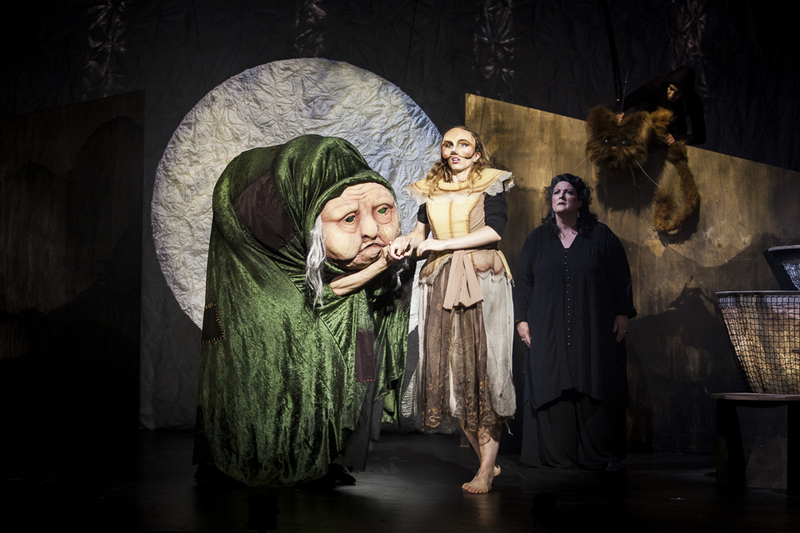 The Sleeping Beauty is superb entertainment for all ages. Attendance is highly recommended. The Sleeping Beauty plays at Playhouse, Arts Centre Melbourne until 18 March 2017. The program for The Sleeping Beauty can be read online.